Lake Effect's Audrey Nowakowski with farming contributor Dave Kozlowski, dairy farmer Sarah Lloyd, and cattle farmer Kirsten Jurcek. 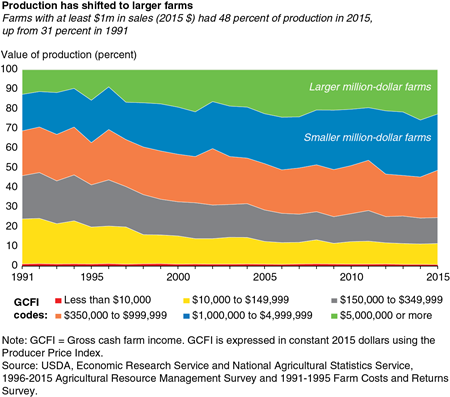 While the average farm size grows, the total amount of land in farming has remained the same and small farms are feeling the pinch as agribusiness dominates. 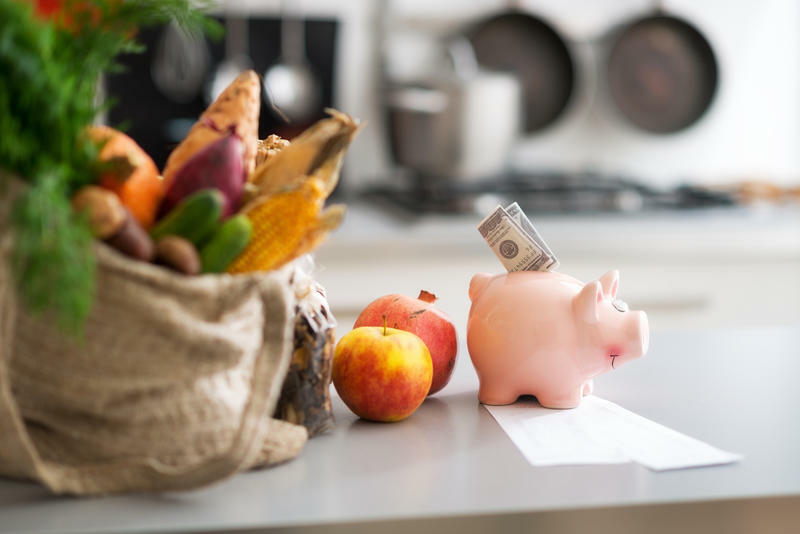 "Small farms are dying, and this is true probably across the board - whether it's poultry, beef, pork, or vegetables for that matter," says farming contributor David Kozlowski of Pinehold Gardens in Oak Creek. "What we've seen is we're not reading our history - this is the same thing that happened in the late '70s and early '80s, which caused the so-called farm crisis of that time." The trend has been big farming since post-World War II, Kozlowski says, especially with the advent of new technology to aid in the size and scale of food production. Add in inflation and consolidation, and you have the resulting struggle to make ends meet on a small, family farm, he explains. "As a small, family farm, once all the farms get bigger our supply chains go away, so we're losing the supply chains that support our small to mid-size farms as well," Kirsten Jurcek of Brattset Family Farm says. Kozlowski adds that the large farms dominating the market also means that food supply chains have less resiliency. In a climate of not just price increases, but temperature increases and climate change, we need to think smaller, not bigger, he says. "What if we lose California - are we prepared? 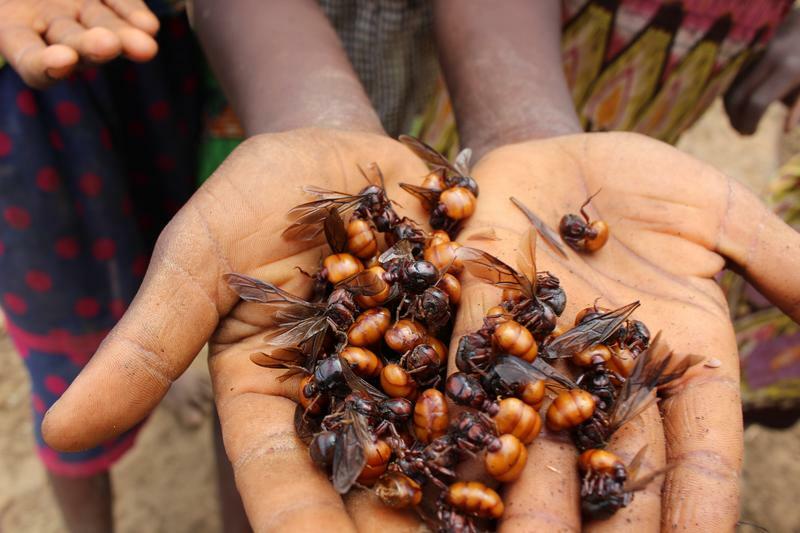 Do we have a resilient food system? Do we have a way of bouncing back from that loss of that chain?" asks Kozlowski. 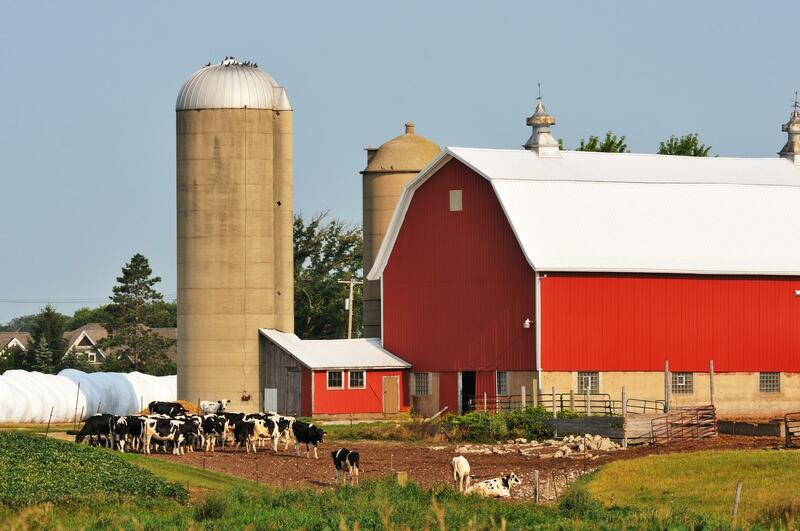 Sarah Lloyd, a local diary farmer and program coordinator for the Wisconsin Farmers Union, says big agribusiness doesn't just hurt small farms currently, but the communities surrounding the farms. "I'm really concerned about the countryside and rural communities because how is that ever going to transfer to the next generation?" Kozlowski says that this issue is really an urban issue, not simply a rural one, because "the city is our marketplace." "Unless folks here get concerned about the environmental issues and quite frankly, some of the health issues of the food that's being produced elsewhere, then nothing's really going to happen. Because the government's not really going to act and markets aren't going to reflect any changes," he says. 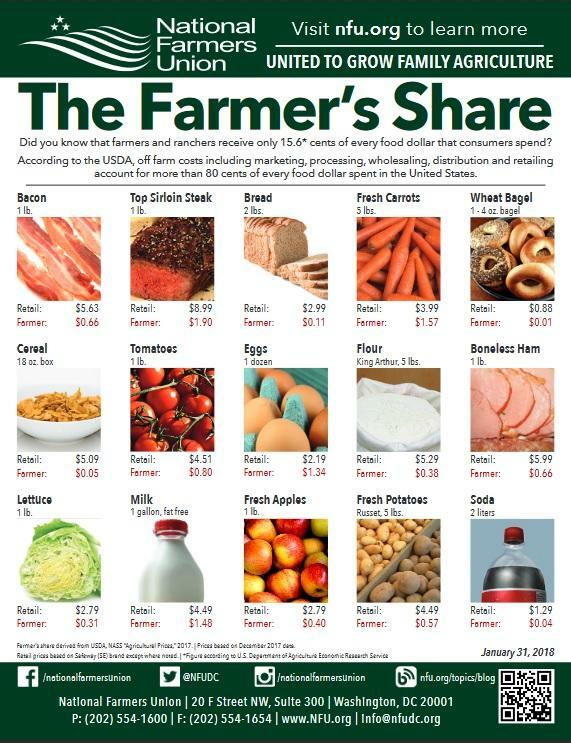 To help shift the current trend of big agribusiness, Kozlowski, Lloyd, and Jurcek advocate becoming educated about where your food comes from and how it was raised. "I really encourage people to be food citizens," says Lloyd. "You're making a political statement with your dollars, but you also have an obligation whether you're in a city or rural space to make sure you're in touch with your county, state, and federal government. Make sure that they understand how important it is to you as a consumer." Lloyd says an easy place to start is to look for the #55 on food products when you're shopping - that shows it's been processed in Wisconsin. There are some people who cannot cook without garlic, it’s an integral part of some cuisines. The plant is part of the allium family, which also contains onions, scallions, leeks, shallots, and chives. 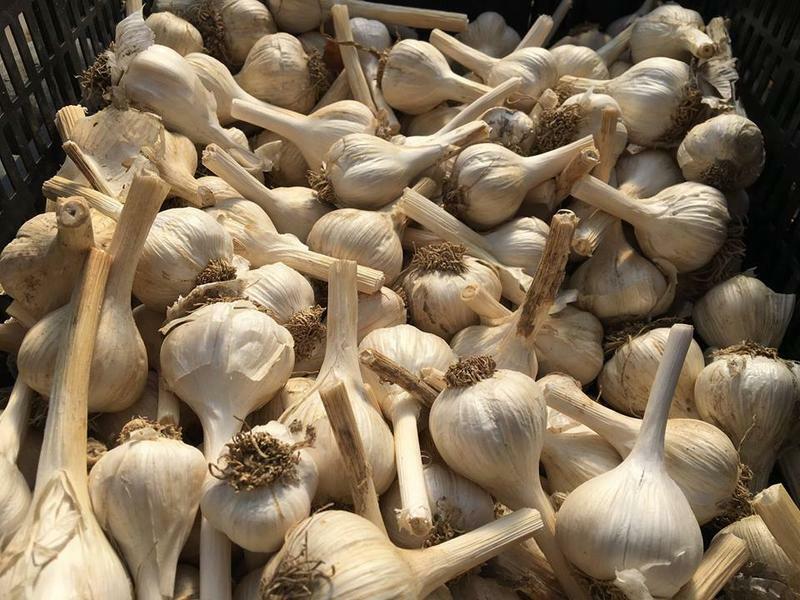 But contributor Dave Kozlowski of Pinehold Gardens says that farming garlic is a bit different from most of the other produce he grows. "Garlic is such an interesting plant...because it is a vegetable, but it's not; and it's a spice and a herb, but it's not; and it's a medicinal plant, but it's not. It's all of those but it's none of those - it's garlic," he jokes. What Does it Mean to Buy 'Local' Food? Home-grown, native, seasonal... These buzz words are big in the food industry. But why should you care about whether an apple is local -- in picked from a farm up the road or grown in the United States? One person who believes strongly that local makes a big difference is contributor Dave Kozlowski of Pinehold Gardens in Oak Creek. He says that local is a term that "means something to everybody, and it means something different oftentimes to everybody." Long hours at the office can put a real stress on any relationship, especially marriage. But how does the relationship dynamic change when a couple puts in long hours in the same job - or in the case of contributor Dave Kozlowski and and his wife Sandy Raduenz - the same field? 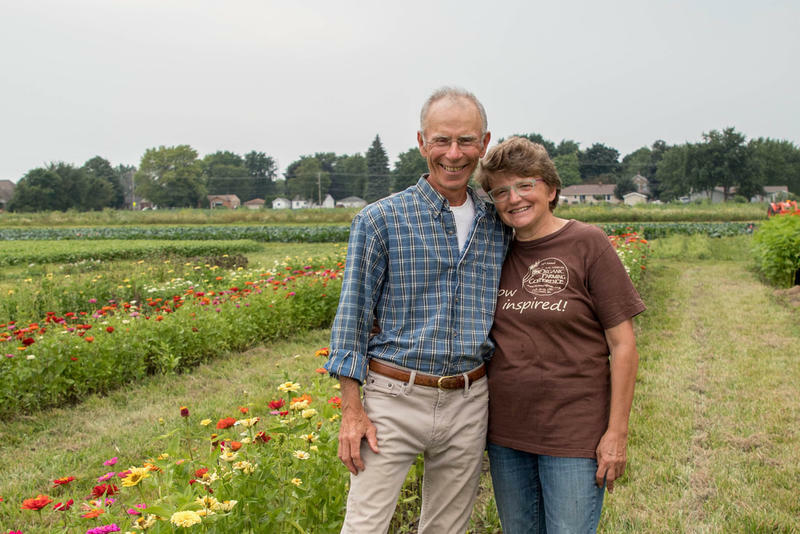 Kozlowski and Raduenz own and operate the organic produce farm Pinehold Gardens in Oak Creek. Neither of them were born into farming, but instead decided to pursue the physically demanding and rewarding profession together in their 40s.